I’m on mission to convert the “white” ingredients in recipes to “clean”, healthy ingredients. My pet peeve of late is sugar. 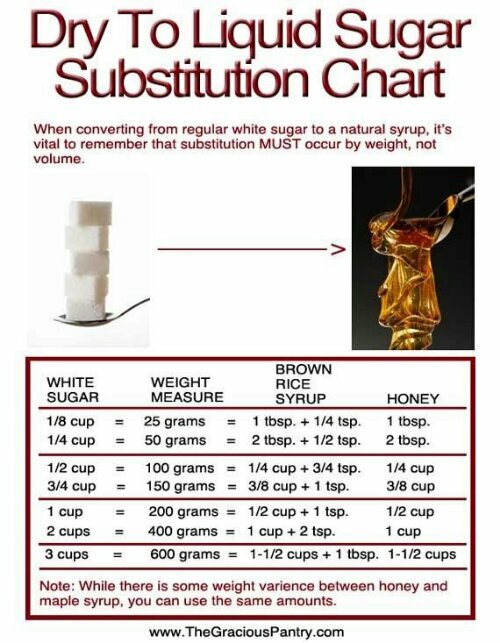 If you have a kitchen scale – weigh the amount of sugar called for in a recipe, and then use the same weight of any natural liquid sweetener. For Coconut Sugar and Maple Sugar a 1:1 ratio can be used in recipes calling for white sugar.